There’s an invasion underway, a constant onslaught of chemical attacks that are more sinister and more life-threatening than faraway armies with tanks. This chemical invasion is occurring on many levels today, and it impacts the cells of many unsuspecting people. The invasion is invisible to the eyes, but under the microscope it is ever so real. This vicious invasion is taking place silently in the very water that the population drinks. The people who are impacted are clueless, oblivious and defenseless. They have no idea what’s going on, as fracking chemicals and displaced heavy metals invade their bodies, tainting their lifeblood and minds. With cancers spreading, sleep problems mounting and mental health deteriorating, it’s very important for the people to know what kind of enemy they are up against. In a world where personal property and human health are no longer respected or protected, it’s important for people to know how to filter their water effectively for self defense. The oil and gas industry is a major contributor to this vicious invasion. The toxic slew of chemicals left over after hydraulic fracturing are often taken to public water treatment plants that are incapable of filtering out the contaminants. For years, publicly owned treatment plants have received large amounts of fracking waste water that they cannot effectively treat. As a consequence, the waterways are filled with toxic byproducts, as the public is silently poisoned, every cell in their bodies under attack. During the recent gas boom in Pennsylvania, fracking waste water was pumped right into the Monongahela River. In 2008 and 2009, towns along the river were instructed to use bottled water, since the water outside their homes and near municipal sewage plants was being poisoned. In 2011, during the natural gas boom, Pennsylvania Governor Tom Corbett called on oil drilling companies to stop sending fracking wastewater to public treatment facilities. At that time, the oil-drilling technique of hydraulic fracturing came under advanced scrutiny. Fracking wastewater contains a toxic slew of total dissolved solids, organic and inorganic chemicals, and technologically enhanced naturally occurring radioactive material (TENORM), that is very difficult to properly dispose of and filter out. Some of these compounding chemicals poison the water and land near drilling sites. Large amounts are taken to public treatment plants that are not even capable of filtering the waste water. When treatment plants fail to handle fracking waste, the toxic slew is discharged straight into the waterways. 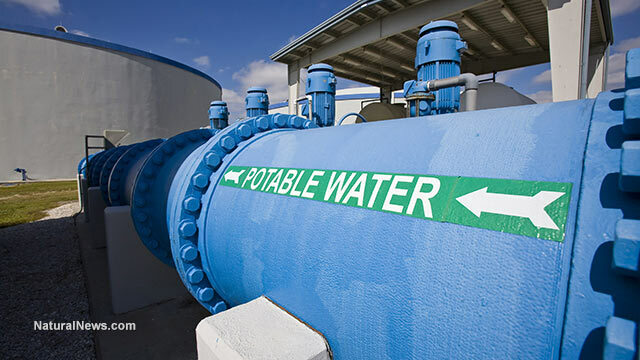 The wastewater can even inhibit the treatment plant from filtering out regular waste. This causes harmful byproducts to form in the water. The Environmental Protection Agency is just now coming up with a rule to stop oil drilling operations from disposing of their fracking waste at publicly owned treatment works. Clean Water Action, an environmental group that supports the EPA’s new rule, said that oil drilling companies are finding new ways to dump their wastewater, sealing it in underground injection wells, running it through ineffective industrial treatment plants and “recycling” it. If we don’t start taking at-home water filtration seriously, our ability to function on a day-to-day basis will continue to deteriorate. There’s already a monstrous chemical invasion taking place through our pesticide and herbicide intense agricultural systems. The more we accept this chemical inundation, the more we will decline – both physically and mentally. Some of the most insane acts of violence that occur in our culture begin with a poisoned brain. How might toxic heavy metals and chemicals from fracking waste water, herbicides, pesticides, along with psychotropic drugs, contribute to mass shootings? As these chemicals disrupt the endocrine system of the human body, cause gut dysbiosis and destroy the nervous system, people’s behavior and thinking processes are altered in ways society cannot yet understand or fully comprehend. With the above in mind, if you are concerned about what’s lurking in your town’s water, send in a sample to EPAWatch.org, and they’ll test it for your for free. “Studies relied upon by EPA to develop policy and regulations were scientifically invalid,” the organization charged. The cover-up was discovered by NC WARN, the group wrote in its complaint, when it became aware that the very inventor of the Bacharach Hi-Flow Sampler, an engineer named Touché Howard, had been attempting to blow the whistle for years on the crucial instrument’s malfunctioning. The critical failure causes the instrument to under-report methane emissions “up to 100-fold,” the organization wrote. Studies have shown the EPA underestimating methane leaks from fracked gas production for years, and Howard’s own research found that the agency has been “hugely underestimating” methane emissions specifically as a result of the faulty instrument, as Common Dreams reported. “In the extreme, that kind of failure could lead to catastrophic explosions,” Howard told theLos Angeles Times. The complaint describes Howard’s repeated attempts to warn the EPA and Allen about the instrument, and the silence he received in response. “It appears that the goal of the [University of Texas] team was not to critically examine the problems but to convince [Environmental Defense Fund, who co-authored the study,] and its production committee members that no problems existed,” NC WARN added. “We believe Mr. Howard was specifically prevented from providing input because the [University of Texas] team knew that he would be able to show that their counterarguments were faulty and the resulting studies scientifically invalid,” the group concluded. Yesterday I blogged about the wider context behind the USA’s seemingly chaotic and contradictory policies in the Middle East, which appear to be to create as much chaos as possible by inflaming internal and traditional divisions in the Islamic world in order to weaken its most powerful states, and to manage the transition to new energy systems, which are, I suspect, the big and most significant context by which to interpret recent geopolitical events. A sudden release of new energy technologies, without such a commensurate weakening of those states, would conceivably drive them into precipitate and dangerous actions in order to protect their power if, say, a method were contrived to outflank or replace petroleum. Creating chaos, and keeping those states embroiled in it, allows the transition to a new energy paradigm to be more easily managed, while at the same time creating the conditions for the removal of some truly odious regimes and characters. 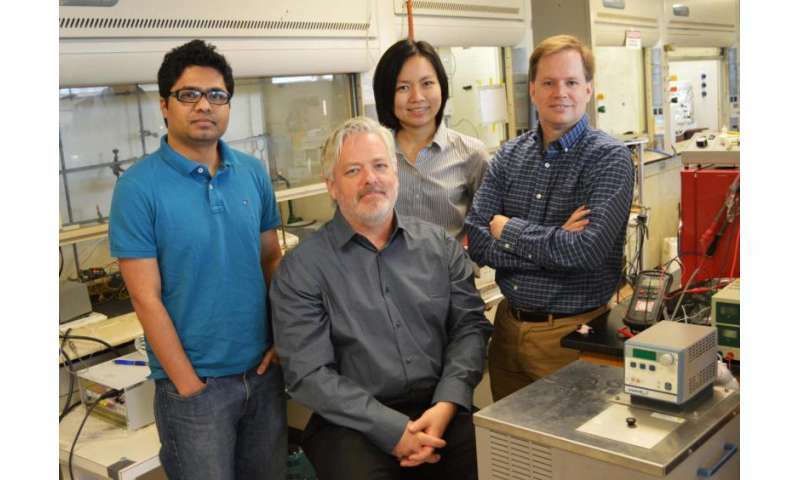 A team of University of Texas at Arlington chemists and engineers have proven that concentrated light, heat and high pressures can drive the one-step conversion of carbon dioxide and water directly into usable liquid hydrocarbon fuels.